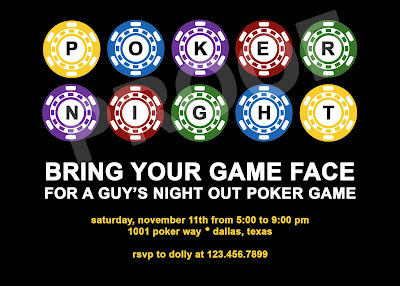 My husband loves to get together with his best friends for a "boys night out" with steak and poker. 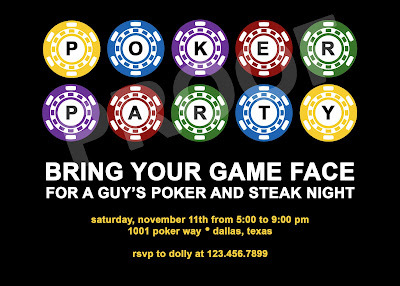 Unfortunately they don't do it often enough, but they sure have a great time when they do so I thought I would design an invitation for their next poker night. 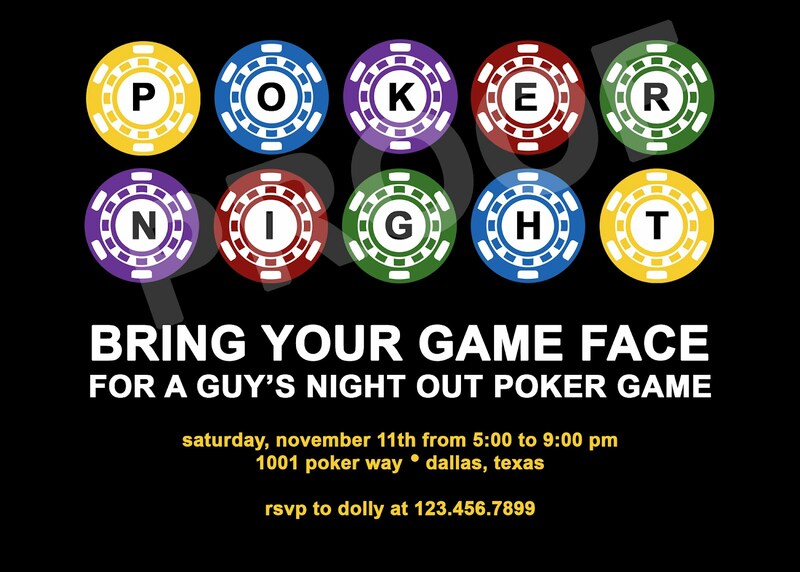 If you are wanting to host a "poker night" or surprise your spouse with a "guy's night out" here is a fun masculine invitation for the guys. 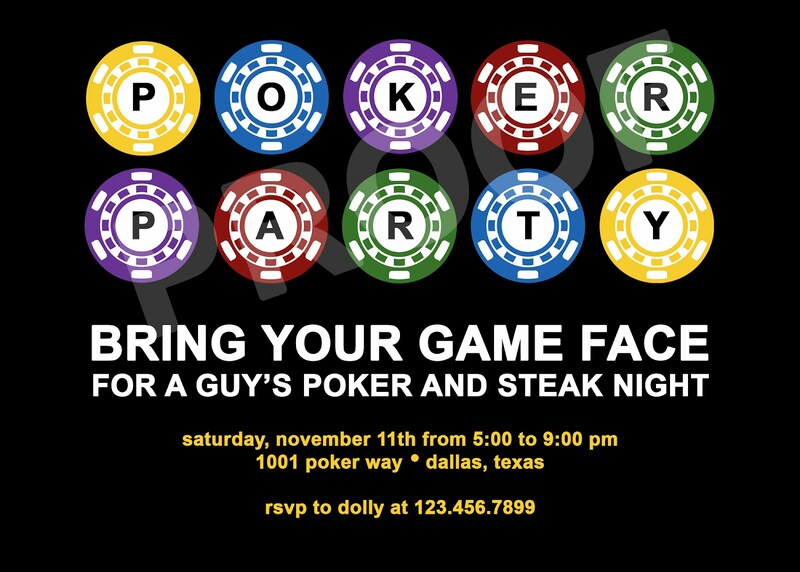 If you are interested in this invitation or matching party printables contact Paper Perfection at jtanddolly@yahoo.com for pricing and details.